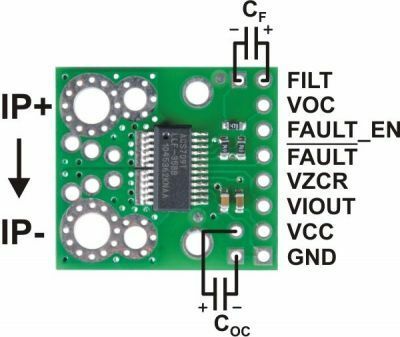 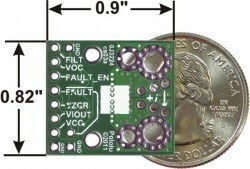 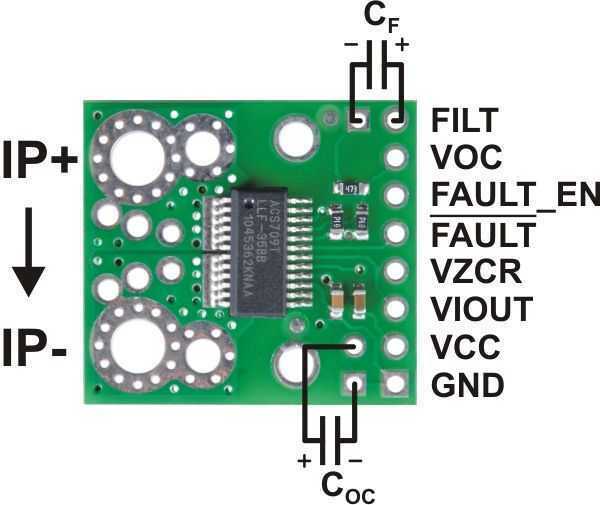 This board is a simple carrier of Allegro’s ±75A ACS709 Hall effect-based linear current sensor. 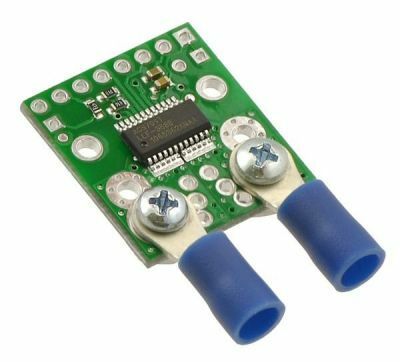 The sensor has optimized accuracy for currents from -37.5 A to 37.5 A, and the analog voltage output is linear for current magnitudes up to 75 A. 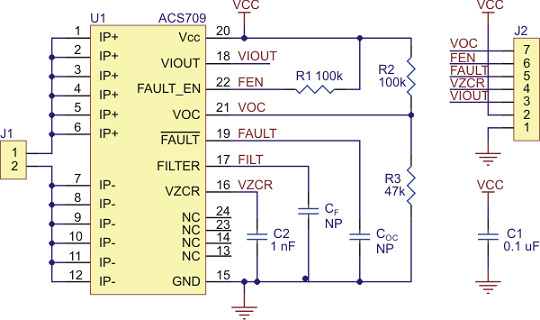 The ratiometric output voltage is centered at VCC/2 and has a typical error of ±2%. 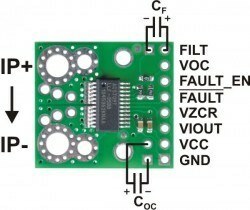 It operates from 3 V to 5.5 V, so it can interface directly to both 3.3 V and 5 V systems.